Skip your bottom lash lines while applying eye liner unless and until you want to look like a 70’s actress. Outlining the entire eye is absolutely out of fashion these days. It not only makes your eyes look smaller, but also causes smudges. However, if you still want to give it a try, simply go along the lower lid lightly to create stray streaks of liner. It is a big mistake, especially if you are a newbie in the makeup world and yet to get your hand set for liquid eyeliner. Try to outline your upper lash line with a white eyeliner pencil prior to applying the liquid or gel one. It will make your application smooth and absolutely perfect. Thick line across the eyes can never give you that subtle look, which you are trying to get. It would make you appear unnatural and tend to smudge too. 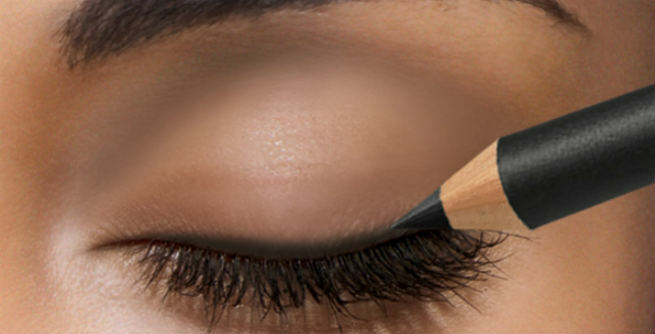 So, it is better to apply the liner only across the external edges of the upper eye lids i.e. the upper lash lines and that too in not-too-intense lines. It is one of the biggest mistakes that most of us do. In case you are not using a waterproof eyeliner, you can still smudge-proof your look by applying a layer of a powder shadow over it. However, make sure that the shade of the shadow goes well with that of the liner. 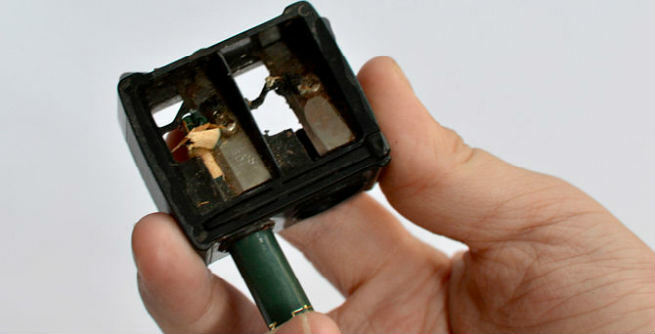 If your eyeliner pencil has turned extremely dry, it is probably the time to get a new one. A dried out pencil can give you pesky skid marks as it doesn’t glide smoothly over the eyelid. Rather, find a creamy one that is easy to apply and dries to a beautiful finish. Using a blunt eyeliner pencil can kill your look by going thick and untidy at the outer corners of your eyes. It is of utmost importance that you sharpen your eyeliner pencil properly before lining the eyes so that you get right to the point and the finish becomes great. 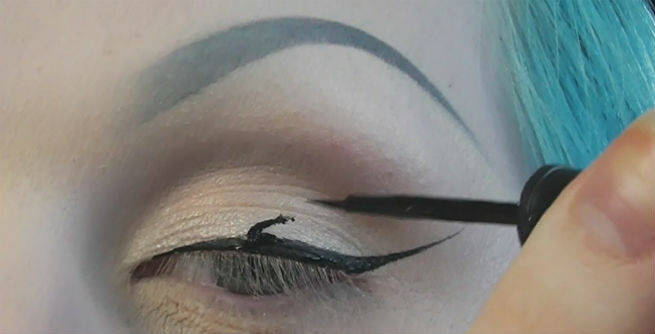 Never ever do this while applying the eyeliner. It can turn the lines into horrible curves and make the delicate skin of your eyelids sag too. All you need to do is to place the mirror at the right position i.e. at chest level and sit chin up. When we look straight into the mirror, objects appear far closer than they actually are. 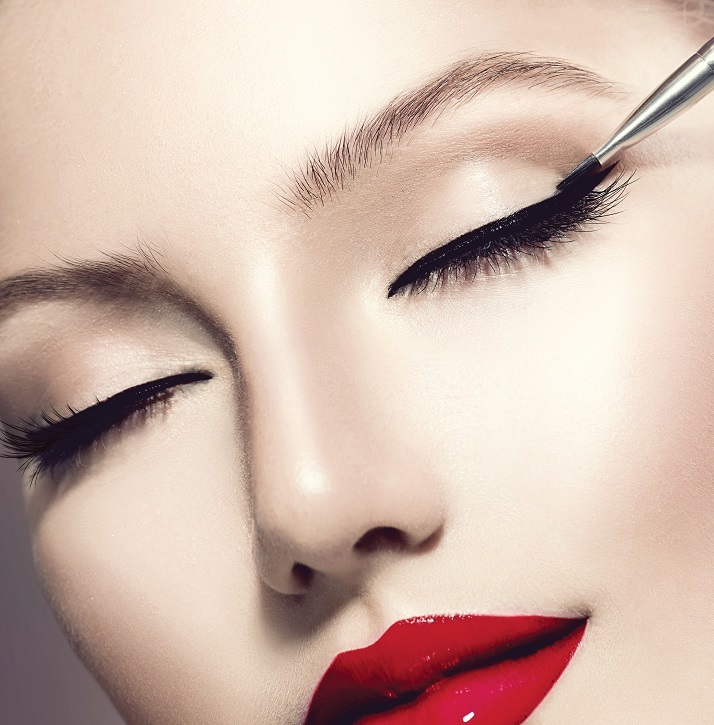 Hence, doing it during the application of eyeliner can result into crooked lines, sloppy look, gaps etc. You must look down into your mirror while wearing a liner to ensure the closest possible application.